This is one is the same in all three books, and is pretty much a twist on brandy, with a dash of gin. So, put some liquor on your liquor, and call it good. I’m not sure what the gin is supposed to be doing here, but I have to say it doesn’t sound promising. Eh, this may be a bit weird, but it’s not horrible. I still don’t understand what the gin is there for. 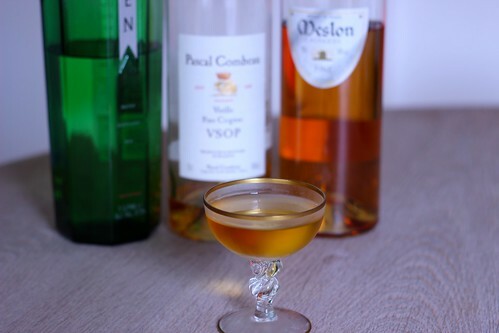 Frankly, I’d be rather fine with just a sip of nice calvados all by itself instead.